Looking for scholarship to study in UK for Nigerian students? According to study by UNESCO, UK is the number destination for Nigerian students studying abroad. And Nigerians make up 7% of the total UK University population. As a result, a number of universities, local and international organizations support Nigerian students to study on scholarship in UK. Below is a comprehensive list of scholarships in UK for Nigerian students to study for undergraduate, masters and PhD. Be sure to bookmark this page for future reference and updates. Commonwealth Scholarship for Developing Countries – Masters and PhD. See UK universities that have part funding agreements with the CSC. Commonwealth Shared Scholarship Scheme set up by the Department for International Development (DFID) in 1986, represent a unique partnership between the United Kingdom government and UK universities and the candidates country (in this case Nigeria). Commonwealth Professional Fellowships for Commonwealth Developing Countries to support mid-career professionals to spend a period of time with a UK host organization working in their field for a programme of professional development. Commonwealth Distance Learning Scholarships, at UK Universities cover overseas tuition fees at Master’s degree-level and are open to candidates who are citizens of a developing Commonwealth country. London School of Hygiene & Tropical Medicine is offering up to four Johnson & Johnson Global Mental Health Scholarships to students accepted onto the MSc Global Mental Health programme. Each year the Shell Petroleum Development Company of Nigeria (SPDC) offers Postgraduate Scholarship for Nigerian Students from Rivers, Delta and Bayelsa States to study in UK for Engineering and petroleum related Science courses at selected universities in UK. The selected UK universities are Imperial College London, University College London and the University of Leeds. The Petroleum Technology Development Fund (PTDF), a parastatal of the Ministry of Petroleum Resources offers undergraduate, masters & PhD scholarships for students to study in Nigerian and Overseas universities, including UK. As part of its Human Resource Development initiatives, NDDC embarks on Foreign Post-Graduate Scholarship Scheme. The goal is to equip Niger Deltans with relevant training and skills for effective participation in the Local Content programme of the current Administration as well as compete globally in various professional fields. To reward outstanding achievement and to help ensure that fears about finance do not constrain prospective international students from considering study in the UK, the University of Birmingham is pleased to offer a number of prestigious international scholarships for 2017 entry. The Standard Bank Derek Cooper Africa Scholarships offer an exciting opportunity of funding for students who are ordinarily resident in one of Standard Bank’s African presence countries, with a preference for residents of South Africa, Ghana, Kenya, Nigeria, Angola, Mozambique and South Sudan. The Ibrahim Leadership Fellowships form a selective programme designed to identify and prepare outstanding African leaders by providing them with critical experience at the highest levels of multilateral organizations. Oxford is home of a number of prestigious scholarship schemes. Reach Oxford Scholarships are offered to undergraduate students from developing countries. Eni Scholarship: St Antony’s College Oxford in partnership with the international integrated energy company Eni, offers students from African universities in Angola, Ghana & Nigeria, the opportunity of fully funded scholarships, including fees and living expenses, for Master’s degree at the University of Oxford UK. The university of Cambridge offer a variety of scholarships that Nigerian students can participate in. Gates Cambridge Scholarships are highly competitive full-cost scholarships. They are awarded to outstanding applicants from countries outside the UK to pursue a full-time postgraduate masters and PhD degree in any subject available at the University of Cambridge. University of Cambridge offer Scholarship for MPhil Programme in Conservation Leadership to Support Students from Less Developed and Developing Countries. The Cambridge International Scholarship Scheme – CISS is a prestigious scheme of approximately 80 full scholarships for international students. It was founded in 2009, and is funded by the assistance from the University of Cambridge, from external funding partners, and from Departments and Colleges that have agreed to contribute to these awards. The Microsoft Research PhD Scholarship Programme in EMEA (Europe, Middle East, Africa) was launched in 2004 and has so far supported more than 200 PhD students across the region. Each year by September, PhD supervisors from academic institutions in EMEA submit their proposals for collaborative research projects with Microsoft Research Cambridge. African Regional Busary at Cambridge University Judge Business School: A bursary worth up to £18,000 will be awarded to a successful African candidate. The School believes that Africa will be an increasingly important region, both economically and politically and is committed to developing the African talent pool. Each year, the University of Westminster offers a wide range of scholarships for students from Africa and developing countries to study for undergraduate and masters’ degree at the university. Loughborough University offers full-fee scholarships for international full-time taught postgraduate students who are currently domiciled (permanently living) in Africa. The scholarship covers 100% of the course fees for your chosen postgraduate taught course for one year. Over 100 scholarships are available to new self-financing full-time international students who are permanently resident in a country outside the European Union (EU). Available in a range of subject areas these scholarships will be to the value of 25% of the programme tuition fee and that value will be credited to the student’s tuition fee account. The Economics Department at the University of Sussex is offering a Masters scholarship for suitably qualified candidates from selected sub-Saharan African countries on either the Development Economics MSc or Economics MSc. The University of Dundee is offering Global Excellence postgraduate Scholarships in Law to outstanding a limited number of Nigerian students for the January 2018 academic session. Energy has enhanced our lives: we have never been more connected and, today, more people have better opportunities, better health and better living conditions. This progress has been dependent on reliable, accessible energy. Given the vital role of the energy sector, the Centre for Energy, Petroleum and Mineral Law and Policy (CEPMLP) in partnership with the energy industry is offering a fully funded postgraduate scholarship leading to the degree Mineral Law and Policy LLM. 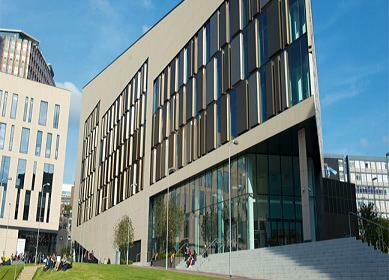 The University of Dundee is offering 3 different Postgraduate Scholarships to Nigerian students wishing to undertake degree programmes at the University. The University of Dundee is offering Masters Scholarships to international students wishing to undertake degree programs at the University. The Africa Initiative for Governance (AIG) Scholarships Programme is targeted at graduates between the ages of 25 and 35, some of whom may have work experience. The University of Edinburgh offers a number of undergraduate scholarships for international students that are open for Nigerian students. The University of Edinburgh offers a number of postgraduate scholarships for international students that are open for Nigerian students. The university offers several scholarships for students from developing countries including Nigeria. University of East Anglia Undergraduate Scholarships: for undergraduate students wishing to study at UEA. Cardiff University offers undergraduate international scholarships. Students must be confirmed as an Overseas Student for fee paying purposes. The Cardiff University Postgraduate Taught International Scholarships is offered by the university to international students. These scholarships are only available to self-funded students. The Newcastle University Nigeria Scholarship (NU Nigeria Scholarship) awards are available for high achieving Nigerian students applying for entry onto postgraduate Master’s degree programmes, commencing in September. Founded in 2001, Developing Solutions is The University of Nottingham’s flagship international scholarship programme for postgraduate masters courses. The University of Nottingham UK offers up to 105 masters scholarships for a global future for students from Africa. The Eira Francis Davies Scholarship, which shall be awarded from time to time by the Senate of Swansea University on the basis of academic merit and/or financial need and which shall contribute to tuition fees, shall be tenable for such period as determined by the Senate and shall be subject to satisfactory academic progress and to such other terms and conditions as the University shall stipulate. The Desmond Tutu Scholarship is one of King’s Scholarships which will directly benefit students entering higher education. The University of Sheffield offers a range of undergraduate (BA, BSc, BEng, MEng) scholarships to students from Nigeria who show exceptional academic potential and are starting their studies at the University of Sheffield in September. The University of Sheffield offers the Nigeria Merit Postgraduate Scholarships for students who show exceptional academic potential starting a postgraduate taught master’s programme at the University in September. The International Development Office at Swansea University UK offer Nigeria undergraduate and postgraduate excellence scholarships. 26 Think Big Undergraduate scholarships and 26 Think Big Postgraduate scholarships are available for courses starting in 2018. African Graduate Scholarship for Students from Africa: The University College London has opened applications for its African Graduate Scholarship, open to African nationals currently residing in an African nation. IOE-ISH Centenary Masters Scholarships: Candidates should be citizens and residents of a low or lower-middle income country. IOE Centenary Doctoral Scholarships: Candidates should be citizens and residents of a low or lower-middle income country. University College London (UCL) Commonwealth Shared Scholarships: Awards are for taught Master’s programmes only, subjects must be related to the economic, social and technological development of a candidate’s country. This scholarship will be awarded to an exceptional International student who has the potential to be an ambassador for their course, to contribute to the academic community and to effect change in their home country. Three scholarships are offered to support the training and development of the next generation of leaders in global health, and strengthen the capacity of health systems and health-related research in Africa. The course provides eye health professionals with the public health knowledge and skills required to reduce blindness and visual disability in their population. The award this year will be offered to all nationals of Kenya, Nigeria, India and Vietnam and will be used to aid select students in the payment of tuition. The Centre of African Studies of the University of London UK invites applications from Nigerian academics to take part in a scheme of collaborative research funded by the Leventis Foundation. The Coventry University UK is offering Undergraduate and Postgraduate Scholarships for Fee-paying Nigerian students applying for full-time courses.